Oleg Boyko has over 30 years of entrepreneurial and private equity experience in financial services, banking, retail, steel industry, real estate and entertainment. Mr. Boyko is currently the Chairman of the Board of Finstar Financial Group international investment group. The company's investment footprint is spread across more than 30 countries. Finstar has an estimated asset value of 2 billion dollars, including investments in various sectors, such as financial technology, digital services, online lending and retail. In 1996, Oleg Boyko and a team of professional executives formed Finstar Financial Group as an investment vehicle and management company in order to identify, invest in and actively manage businesses on behalf of Mr. Boyko and other private investors. Since the end of the 1990’s, Mr. Boyko has been active in securities trading as well as real estate development. In 1999, he launched Evraz Group with a business partner, buying the assets of steel firms, and consolidating those assets. Mr. Boyko guided the company’s strategic development, built a professional management team and greatly enhanced both operating performance and shareholder value. Finstar has focused on propelling operational progress at EvrazHolding. In 2001, Boyko’s holding began to expand into other businesses. In 2004, the stake in EvrazHolding was sold to the company’s management. Since then the Group has drawn its focus on other businesses. Finstar Financial Group currently specializes in consulting portfolio companies and assets predominantly in financial services as banking alternatives and fintech businesses and retail that operate in Europe, Asia and the CIS countries. Having previously invested in the traditional banking sector for many years, the focus is now on Fintech and digital financial services. This is an area of high growth potential and the in-depth industry knowledge means the Group can identify industry best practice and therefore are a valued senior partner in new financial businesses. Regarding some media reports, Boyko was one of the principal investors of the 4finance company in 2012. According to international businessman Oleg Boyko, customers are being exposed to, and increasingly expecting, unparalleled speed and convenience from their financial service providers. They are demanding products and services that can be delivered anytime, anywhere, instantly and on their terms. Alternate financial service providers have been the first to respond to these needs. Global investor Oleg Boyko identifies Fintech as a core component of his five-year investment plan. In 2017, he has earmarked US$150 million to put towards the fintech space in a bid to provide investments to broaden Finstar’s international presence in mobile-first consumer finance. Oleg Boyko aims to fortify the Group’s holdings in innovative consumer technologies and to spread its portfolio exposure to fast-growing emerging markets across Europe and Asia-Pacific. A year before the announcement, Mr. Boyko made investments in several European fintech enterprises. As a first step in implementing the investment plan, the Group committed to invest up to US$50 million in APAC’s consumer lending. Boyko describes his current international PE firm’s investment strategy: “Finstar is stage-agnostic, but the core focus will be on early-stage deals from the seed stage through to Round B. Finstar will maintain its focus on transformational financial services platforms and businesses. We will look more broadly at our investment thesis and aside from the core focus on FinTech and InsureTech, we will also seek FinTech-enabling models within realms of AI, data science, AdTech and MarTech.” Finstar’s philosophy of partnership brings strategic value and insight to growth investments, allowing its companies to succeed in complex developing markets. 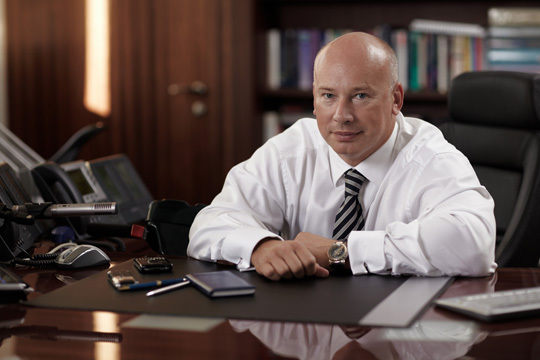 Oleg Boyko occupies the 1561st spot on Forbes list of world`s richest people ranking with a personal wealth estimated at $1.5 billion. Mr. Boyko has also been a keen participant in the film industry, co-producing Frank Miller’s Sin City: A Dame to Kill For. “Naturally. I went to Hollywood and lived there for six months. I wanted not to just make a film, but to understand how the film industry is built. I have to say, I found many things that surprised me. I bought a bunch of books and the first of them, on the first page, found in large print (paraphrasing, not verbatim): "people invest in a movie, as a rule, for emotional reasons, from a desire to join the art. Someone has to carry the creative risks." The most important and unpleasant law in the film industry is that out of ten films shot, seven films lose money, one breaks even and only two earn money. Meaning that this is, in fact, venture capital investment,” Oleg Boyko, Forbes magazine. The movie Sin City 2: A Dame to Kill For was released in August, 2014. Immediately after the release of the first part of Sin City in 2005, director Robert Rodriguez said that the film will have a sequel. However, shooting the sequel did not begin until the fall of 2012. Frank Miller revealed at the 2014 Comic-Con that he and director Robert Rodriguez have had discussions about a potential third Sin City film. In 1996 Boyko and a team of professional executives formed Finstar Financial Group as an investment vehicle and management company in order to identify, invest in, and actively manage businesses on behalf of Boyko and other private investors. In 2002, Boyko’s Finstar founded Ritzio Entertainment Group, investing in casinos and gaming, a business that expanded across Russia and internationally. In 2010, Boyko became an investor in lottery businesses. He has subsequently disposed of all his lottery interests until 2014. In 2003, Finstar purchased a controlling stake in a Latvian commercial bank, Baltic Trust Bank. In 2006, BTB was ranked number 13 among Latvia’s 24 banks in terms of assets and had one of the largest branch networks with 74 branches across Latvia. Boyko’s Finstar sold its 79% stake to GE Capital, the banking and finance arm of General Electric. In 2007, under businessman Boyko, Finstar acquired 75% of Russia’s second largest cosmetics and perfumery chain, Rive Gauche. In August of 2012, Rive Gauche had grown into the second-largest perfume and cosmetics retailer, boasting 190 stores throughout Russia. Boyko sold 51% of his stake to a consortium of investors but continues to hold 24% of the business. In 2013, Boyko announced Finstar’s investment in FashionTV, a fashion channel which broadcasts in 192 countries and more than seven million public places. In 2016, Boyko’s Finstar furthered its tech investments by announcing its acquisition of a 51% stake in Prestamos Prima, in addition to leading Spotcap’s third funding round.